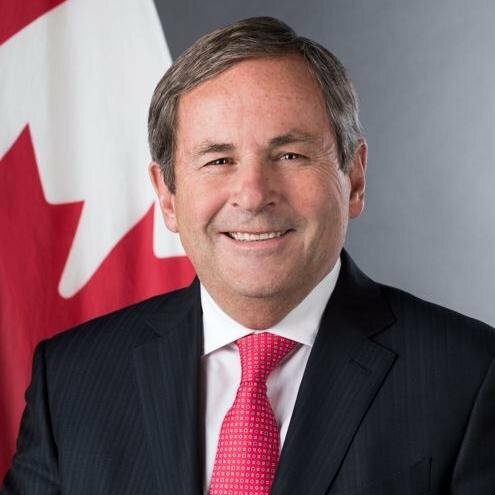 The BC Council of Forest Industries (COFI) is pleased to announce that it will be welcoming Canada’s Ambassador to the United States, David MacNaughton, to speak at its annual convention. This year’s event, one of the largest annual gatherings of the forest sector in Canada, will take place from April 3-5, 2019 in Vancouver. David MacNaughton has served as Canada’s Ambassador since March 2016 and works in close partnership with all levels of government to represent Canadian interests in Washington. He has been a key player in talks on NAFTA, softwood lumber, aluminum, steel and other bilateral issues. The United States is our closest trading partner, with U.S. customers purchasing more than half of B.C.’s lumber, amounting to more than $4 billion annually. “In B.C., forestry generates over 140,000 jobs across the province, in urban and rural communities alike. The continued strength of our trade relationships and international markets will be vital as forestry employers continue to support well-paying jobs for British Columbians,” added Yurkovich. This year, the COFI convention is in Vancouver at a new venue, the JW Marriott Parq Vancouver Hotel. Hundreds of delegates – industry executives, managers, suppliers, businesses, and government and First Nations leaders – are expected to be in attendance. Other speakers will include forestry CEOs, young industry leaders, experts on market diversification, and many more. Discounted early bird rates are available until March 1, 2019. Delegates can register online here.